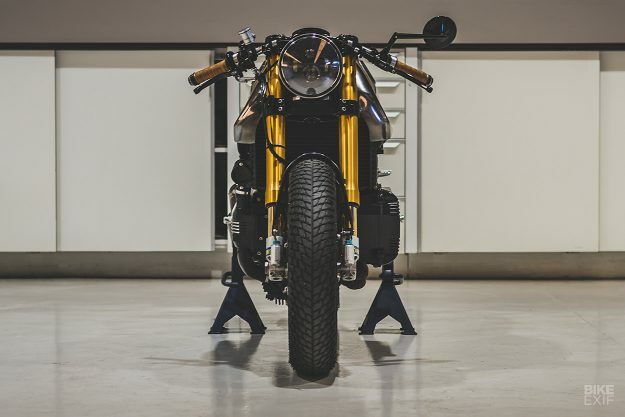 There’s something strange going on with the BMW K-series. A couple of years ago, most bike builders wouldn’t touch one with a ten-foot pole. But the unloved ‘flying brick’ is now becoming modisch—and a few crafty customizers seem to have cracked the code on how to make a K look good. It comes down to availability and pricing: good R-series airheads are hard to find in most markets, whereas the later K-series oilheads are plentiful—if not exactly cheap. 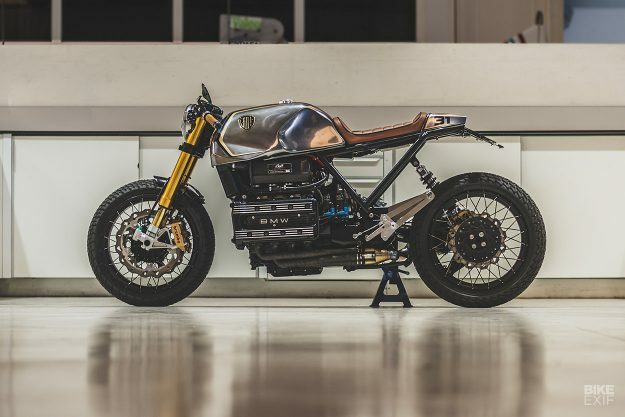 This K100 from the Spanish workshop Bolt Motor Company is something of a template. The creases have been ironed out, the lines straightened, and the components tastefully upgraded. 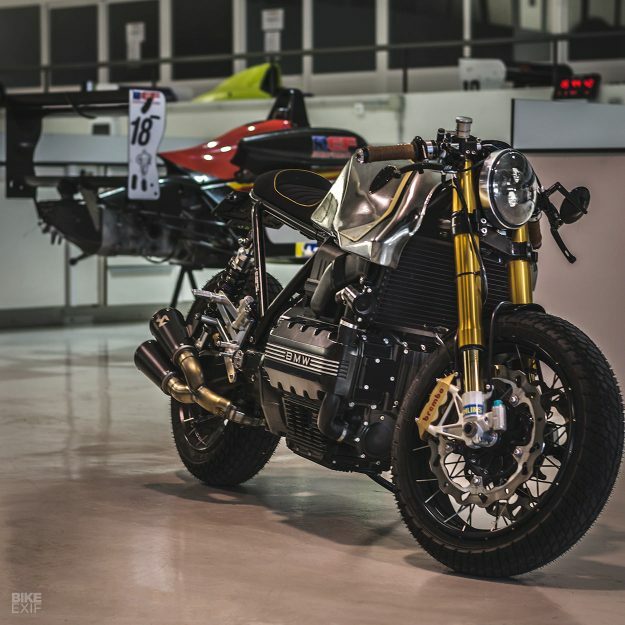 It’s a restrained yet skilled transformation, as you’d expect from an outfit that shares its home (and personnel) with a Formula 2 race team. And hopefully, it’ll open the floodgates a little wider. The slightly tatty K100 was actually a 1985 RS model, with the angular fairing—which was ditched on account of showing 33 years of wear and tear. The goal was to get a straight line to follow the line of the tank. And once the tubing was welded and the new shocks fitted up, the transformation was startling. The slightly staid sports tourer now has a thoroughly sporting, lean-forward stance. 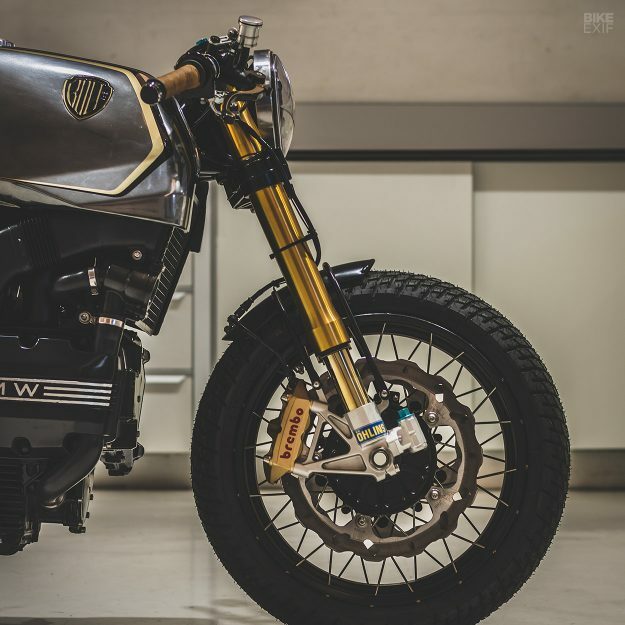 The spokes were hitting the calipers, a situation exacerbated by dropping the R1150GS wheel down from 18 to 17 inches, to match the rear. After solving the thorny clearance issue, Adrián switched his attention to the bodywork. 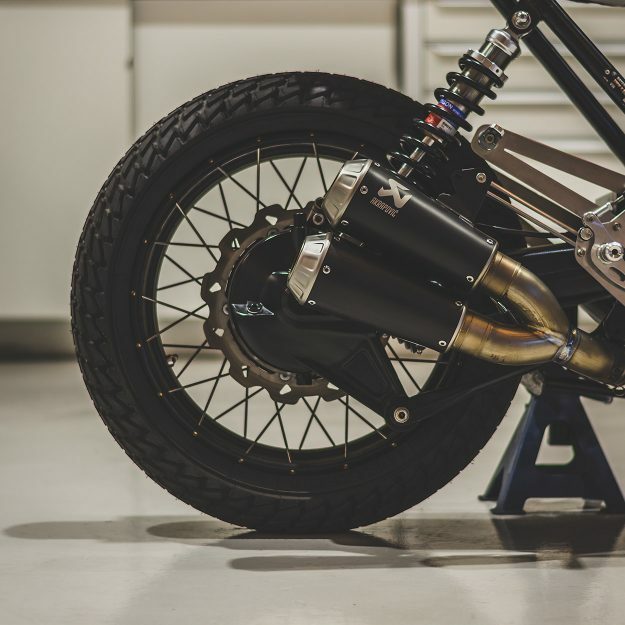 A compact front fender now hugs the Heidenau K73 Super Rain rubber, and a tail unit was designed and 3D printed. 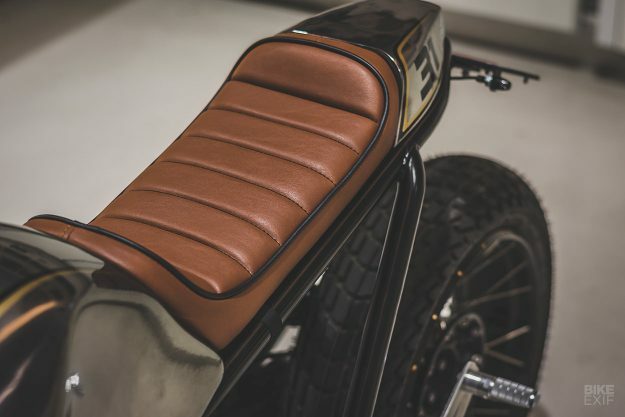 It’s topped with a classy ribbed seat upholstered in a synthetic tan-colored leather, with black piping for contrast. 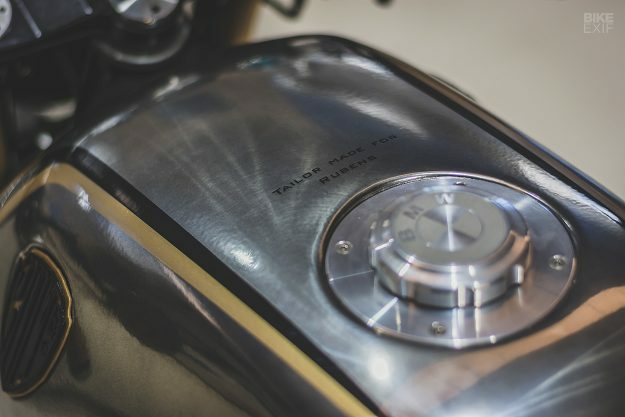 The fuel tank doesn’t drift too far away from the stock shape, but it’s been discreetly fettled. 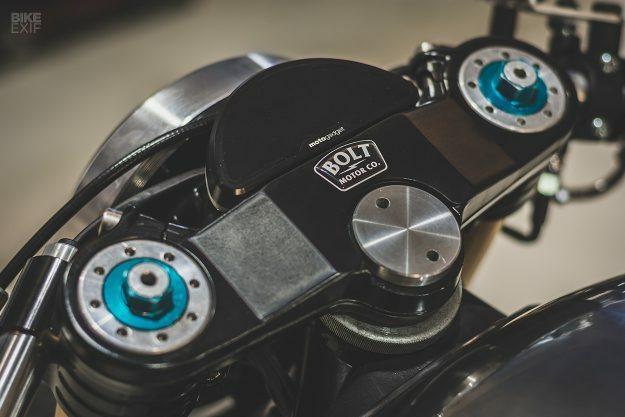 Bolt created new metal panels for the sides, grafted them on, and then refinished everything to better-than-new standard. 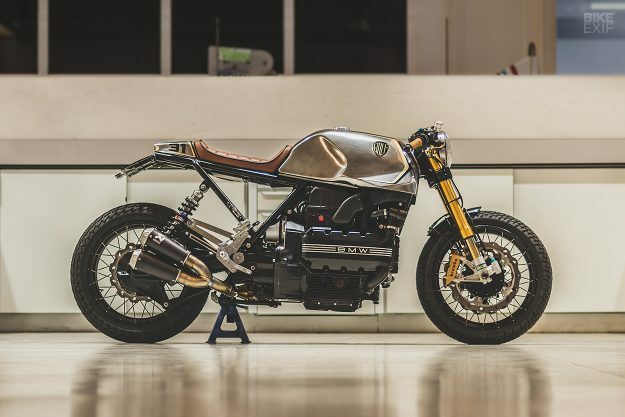 The K100 inline four is smooth and torquey, with 90 stout German horses on tap. So Adrián has left the internals alone, focusing instead on a new exhaust system with custom headers that hug the engine close. 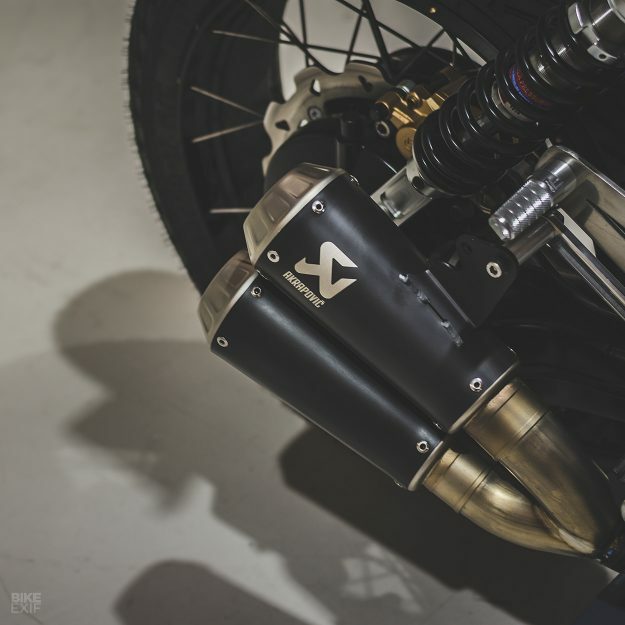 The twin mufflers, believe it or not, are Akrapovič titanium slip-ons straight out of the Scrambler Ducati catlog. And they fit the vibe of the K100 beautifully. After installing CNC-machined rearsets from BSK SpeedWorks and clip-on bars, and treating the K100 to a rewire and a full suite of Motogadget gear, it was time for paint. It’s simple and effective: barely-there stripes of gold and black over polished aluminum. 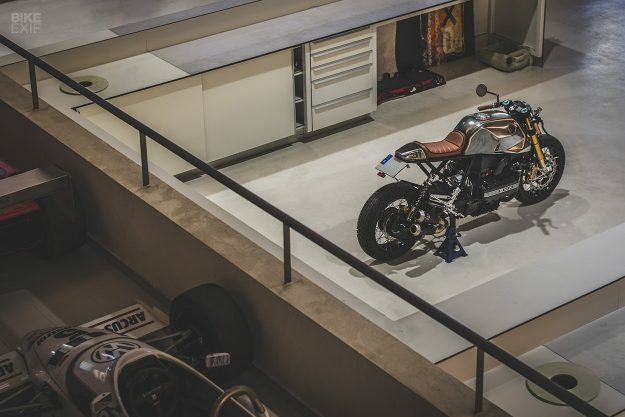 Most K-series customs still have an air of awkwardness about them: like many CX500 builds, they fall into the “not bad, considering” basket. But not this one. It sits alongside Phillip Wulk’s Impuls project as a standout, no-compromise custom with immaculate style, stance and finish. Maybe it’s time we learned to love the flying brick?